Welcome to my February 2019 recap! February saw so many blog tags, my second video on YouTube as well as a huge milestone for the blog! It’s been a great month and I’m looking forward to the month of March. 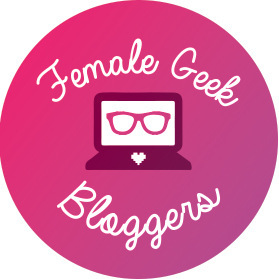 With the first week of March upon us, let’s take a look at the month of February here on A Geeky Gal! Welcome to my January 2019 recap! This month’s recap is a little late, but I had to make way for some other blog posts that I wanted to get out! January had one of my biggest posts yet: our wedding with pictures and all the details! This was pretty exciting for me, because it was so very personal and from my heart. With the first second week of February behind us, let’s take a look at the month of January here on A Geeky Gal! Welcome to my December recap! As you may know, I’m currently on my honeymoon at Disney World. I knew a recap would be needed so I made sure to get this post scheduled in time. With the first week of January behind us, let’s take a look at the month of December here on A Geeky Gal!